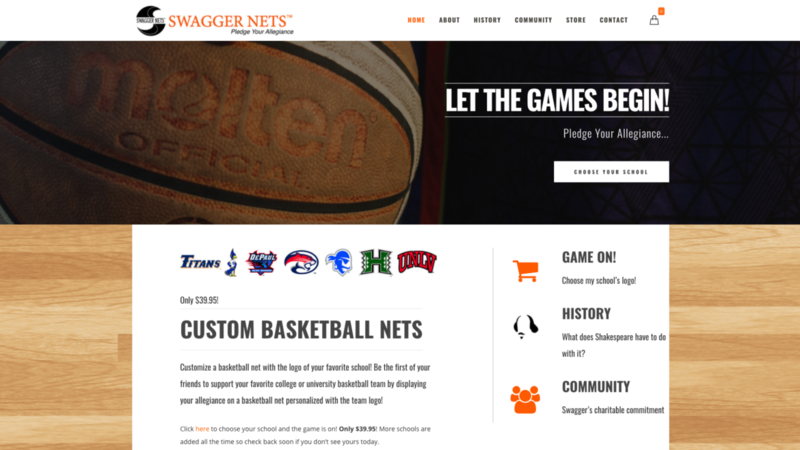 Swagger Nets allows a web visitor to customize a basketball net with the logo of their favorite school! They sell basketball nets custom sewn with a favorite school logo! SWAGGER NETS™ also donates a portion of every sale to cancer treatment and research organizations. Swagger Nets, Inc. has been issued a United States patent and another patent is pending for their products. 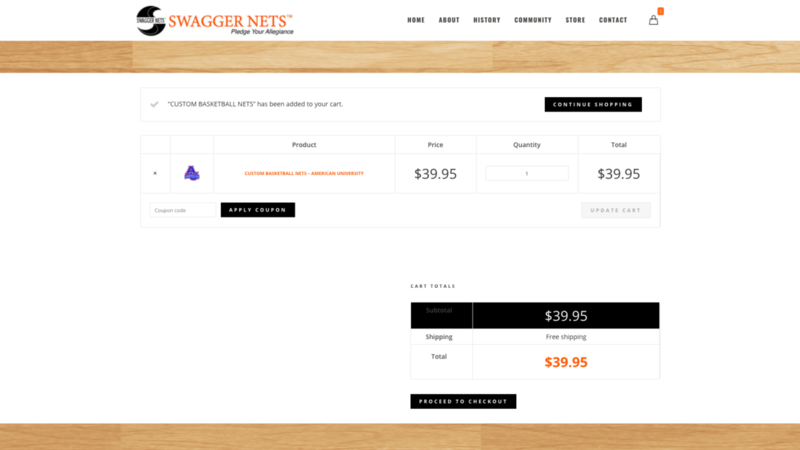 Swagger Nets needed their website redesigned. They wanted it on a platform that was user-friendly with an ability to have a custom online store.